Miss out on any of the action from the Milwaukee Bucks’ 109-95 loss to the Utah Jazz?
. 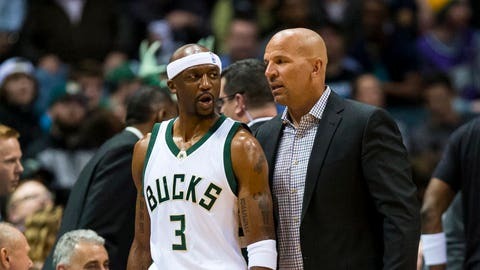 @jasonterry31, @M10OSE and @RealJasonKidd are proud of @Giannis_An34's performance in the All-Star Game.
.@Giannis_An34 returns from the All-Star Game with a slam!!! Give it to the @M10OSE, and he'll let you slam it! No one is safe with @Giannis_An34 on the floor! Steal —> DUNK!
. @Giannis_An34 with a spectacular drive and the And 1! SPIN CYCLE! @Giannis_An34 throws some sweet music down on the Jazz! Not bad for the oldest @Bucks player in franchise history! @jasonterry31 from the corner!